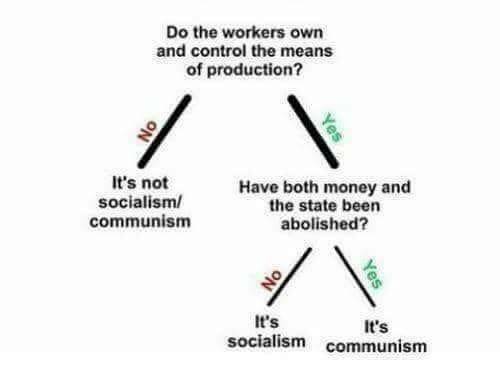 It’s logically impossible for the workers to control the means of production. I’m a worker and I don’t want to. Therefore I will sell them off if you give them to me, and if you can force me to keep them, you, not I the worker, controls the means of production. It’s about bringing democracy into the workplace. If you don’t want to vote, you wouldn’t be forced to. But you couldn’t give your vote to someone else. So I don’t control my means of production, check.